Korovia© is a fictional kingdom created by Charles Moffat in Spring 1999 and used in a variety of books, short stories and fables within the same setting. It is an ancient kingdom with a pseudo-Transylvanian/Slavic culture, blending Slavic folklore with Tolkien-esque fantasy. Humans make up the majority of the populace, but dwarves, elves, gnomes, habs and minotaurs also make up large parts of the civilized regions. 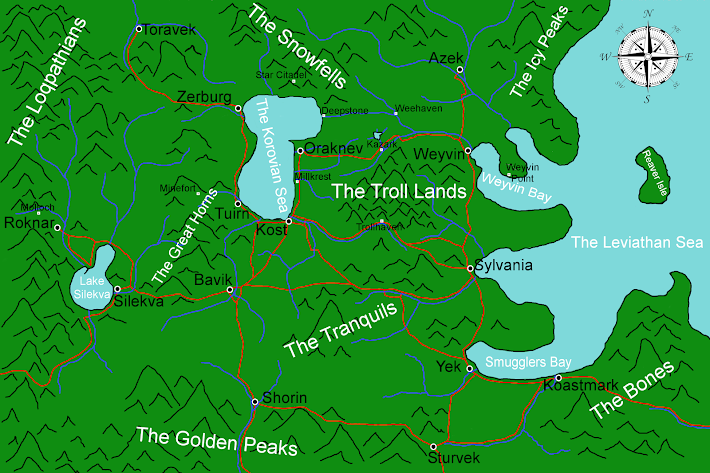 Much of Korovia is untouched wilderness where only beasts and monsters roam, including the Troll Lands - a mountainous region geographically situated between the Holy City of Kost and the port city of Weyvin. Many of the mountainous regions within Korovia similarly have monsters of their own, but the Troll Lands are especially dangerous as mountain trolls are big horned monsters that regenerate unless injured with fire or acid. Only the truly brave venture into the Troll Lands. 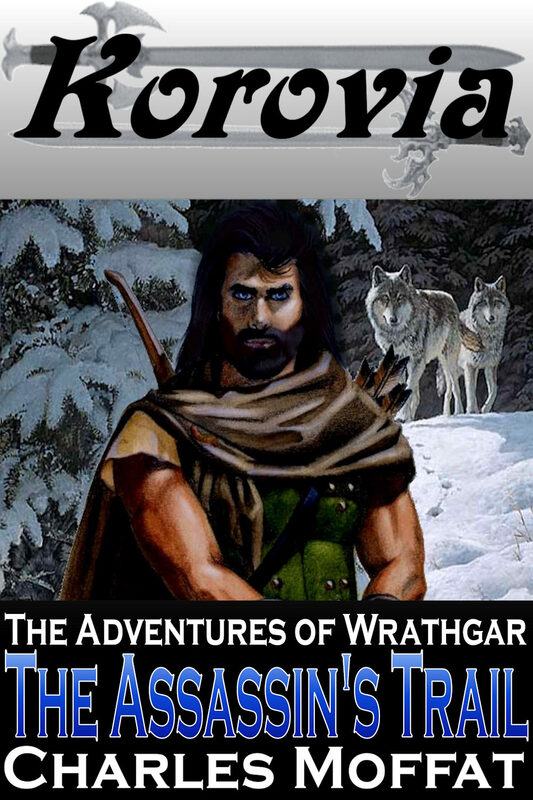 For millennia the land of Korovia has been under an ancient curse that placed it in a perpetual Ice Age where other lands flourished. This curse makes Korovia an ideal location for fantasy monsters to run amok while the good people of Korovia struggled under climatic hardships. Worse, every few millenia Korovia has also struggled in the face demonic invasions from the Abyss. The demons are seeking a secret untapped power that lies hidden within the ground itself, and thus Korovia is under constant threat of demonic invasion. × Through Fire and Death - By S. M. Martins, the only author thus far to receive Moffat's approval to publish a book set in Korovia. See the anthologies section below for short stories that have been grouped into anthologies for sale. Some stories (eg. Shifting Shadows in Iztark) are not available yet, because they are waiting to be published elsewhere.